For your Friday evening’s entertainment, Phoenix Marketcity brings you Bangalore’s favourite Latin Pop band, Artesanato Pulso. Come treat yourself and your friends to your favourite Latin music as you Salsa, Mambo, Tango and Samba from sundown onwards. 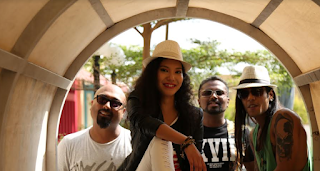 Artesanato Pulso, is a Bengaluru based western Latin pop band with a unique genre of dance pop music covering South American languages. The band comprising Anthony Ficker on Latin percussion, Nandy on guitar, Chan on vocals and Sunny on keyboards, is known for their energetic performances using the congas, timbales, chimes, bongos and bells that always leave their audiences wanting more.